This is just totally classic. McGriff fronts a classic blues band setup with a perfectly balanced brass section and a swinging rhythm section. Smartly McGriff employed the help of legendary drummers Grady Tate and Mel Lewis who take turns laying down the foundation for some rocking funk grooves and then was able to show case the beautiful talents of Blue Note great Blue Mitchell on trumpet. Each tune is better then the next and over all leave you wanting more. It’s a non-stop album that keep laying out funky tracks – there is no junk on it and it stays focused from start to finish. When you look at the cover and see the title “the worm“, you know that this just has to be something with a bit of attitude and it is. Jimmy’s Organ smokes, but then so does the trumpet that comes out of nowhere to take things up a gear at various points through the album. Put this album on and the atmosphere suddenly comes alive. It’s totally fun and totally infectious – try standing still. I highly recommend it. Jimmy McGriff’s B-3 sound was always rooted in blues and gospel, and his soloing could be very smooth and polished. But every once in a while, he had to break out of his own soul box and tear it up on a session. The Worm, issued on Solid State Records in 1968, is the very first place he did. This is the first true, all-out funky burner from McGriff, and it sounds very different from most of the other titles on his shelf. Having a band like this helps: trumpeter Blue Mitchell, tenor saxophonist Fats Theus (with Bob Ashton on baritone and Danny Turner on alto), alternating drummers Mel Lewis and Grady Tate, bassist Bob Bushnell, and guitarist Thornel Schwartz were all in their prime in 1968. The title track, written by McGriff, Theus, and producer Sonny Lester, sets the tone for the whole platter. The saxophone section lays in the cut and is prodded on in a driving, funked-up, hard soul groove by the expanded rhythm section (a B-3 album with a bassist wasn’t unheard of, but it wasn’t standard procedure either). Solos by both McGriff and Mitchell are choppy and punchy in the extreme. The trumpeter is amazing here, offering a small taste of the sound he displayed on 1969’s Collision in Black. But check out the next two tunes, both McGriff originals that push the LP into the red zone and keep it there. “Keep Loose” takes the organist head-to-head against Schwartz’s electric six-string, and forces a showdown. McGriff is like an out-of-control soul singer (James Brown in a concert setting comes to mind), incessantly forcing his band to play faster, greasier, and choppier on chorus after chorus. He ups the intensity level until there is nowhere to go but over the ledge. He takes them there on “Heavyweight“, the very next number, a swinging boppish blues. The horns actually keep the track grounded as McGriff gets terse, dense, and finally unhinged: he’s more adventurous in this solo than he had been before, then he double- and even triple-times the entire band! He brings Bushnell’s bass up the ever-narrowing stairs of the riff until they become a single player, all groove, grit, and grease. McGriff’s cover of Aretha Franklin’s “Think” keeps the exuberance level high. As the horns move right into the Memphis soul vamp, McGriff again plays the part of a vocalist: charging up and down the melody on his keyboards, popping in slippery side chords and harmonic flourishes. Tate’s drums swing freely yet forcefully, and bass and guitar lines are simply nasty. The readings of Kenny Burrell’s “Lock It Up” and Billy Strayhorn’s “Take the ‘A’ Train” are the closest things to “straight” jazz here, though they’re full of razored edges and hard angles. The reading of Neal Hefti’s “Girl Talk” features the horns strolling leisurely on the melody and vamp, but McGriff goes into overdrive again and his solo hits the stratosphere. The Worm is a monster album through and through. 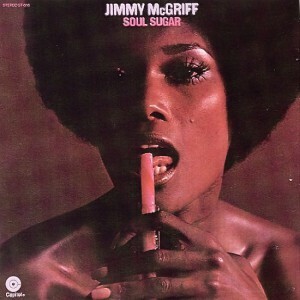 Not only is it a revelatory example of McGriff on the wild, it marks one of the first places where the new funky urban soul met jazz and blues and evolved into jazz-funk. Mcgriff was one of the greats for Hammond organ playing. Thanks for upload it. one of my favorites from mr. McGriff. i love to come down with a few songs in the night. I should replace my old vinyl copy with a better one or a reissue though. Takes you back to a different time… Great memories good songs. Absolutely brilliant with an out standing performance by the group! I can listen to this a thousand times and it never get’s bored. So cool﻿ to see gems like this uploaded! Wonderful piece of music. Well done. Thanks Bro. I can’t wait to hear it. im about to colapse.. all the links in the page are broken… i cant download anything!!! Loopcio @ Links are not dead. Almost all links are alive on Easybytez now. In the next days all links will be ok.